How often you talk with your team or your developer is, again, a matter of project complexity, perceived risks, and your confidence in the developer. The goal is regular communication to build a comfort level that things are progressingas they should. The more unsure you are about this, the more you need to touch base with those writing the code or developing the app. Generally, daily meetings are unnecessary. Micro-managing to the point of making the programmer feel they need to justify what they are doingeach day is counter-productive. An exception to this ‘rule’ might occur early in the process when you want to make sure the developer understands the project and is getting off on the right foot. You might also have more frequent contact late in the process when critical final steps are underway. Normally, weekly meetingsfor a project that will take from several weeks to several months,should be adequate. The frequency of meetings should be discussed during the hiring process of your project. Once again, a little reflective common sense in terms of frequency of communication is the best approach. While it is fair to expect updates and demonstrations on a timely basis, you don’t want to be a pest. For example, most developers don’t want to be asked everyday if they are going to meet a milestone three weeks away. But asking two weeks before hand and one week before the milestones certainly makes sense. The most common and feasible form of meeting these days is Skype. Skype is a free tool that allows both voice and video conferences between two Skype members using an Internet connection. It even provides a screen sharing tool so one user can see exactly what is on the other users computer screen. Skype is capable of doing group video conferences, but at least one member of the group has to belong to Skype’s premium pay service. Skype can also call regular phone numbers for a fee. 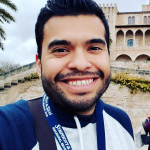 Another option is GoToMeetingThisis a monthly fee-based web and video conferencing tool that allows multiple remote team members in multiple locations to meet and collaborate. It also provides important collaboration tools like screen sharing, and even allows another user to control the mouse and keyboard. 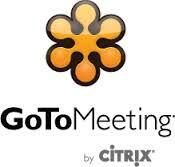 GoToMeeting is also mobile device enabled. While Skype and GoToMeeting are the most well-known, several other ventures are also trying to get into the video conferencing game. AnyMeeting, for example, provides a basic free package, but also offers a premium package that it claims exceeds the features of GoToMeeting – without the annoying ads. Other options include Webex by the well-known and respected hardware provider Cisco, and two newer startups, MeetingBurnerand Vidquick.